We read with interest the story of Amy Dawes published in the Sydney Morning Herald who suffered injuries following a forceps delivery of her first child. Following a long labour, Ms Dawes was given the option to deliver her child by way of caesarean or forceps delivery. Having previously read about caesarean deliveries and that they were less beneficial than a vaginal delivery for the baby, she opted for a forceps delivery. She claims to not have been told of the risks and complications involved in the use of forceps. Unfortunately, Ms Dawes suffered a third degree perineal tear and subsequently developed a pelvic organ prolapse. Her outcome is familiar to us; we have acted in the past and currently act for women who have suffered similar outcomes following forceps deliveries. The legal issues here fall into the difficult area of consent which is a developing field of litigation in Australia particularly as the doctor-patient relationship is evolving away from the paternalistic one of the past, where “doctor knows best”. The cases involve complexities. 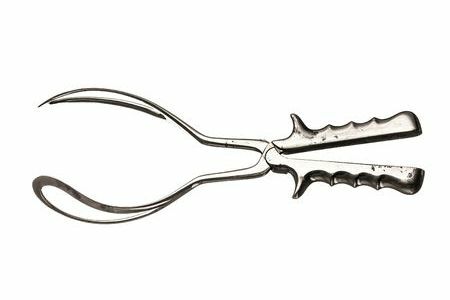 Forceps are often used in circumstances where either, or both, the mother or child is distressed. It can be difficult in such circumstances where time is of the essence to have a full discussion about the risks and complications associated with any procedure; nevertheless, a discussion is required. For this reason it is better for antenatal care providers to discuss all options with their patients prior to labour so that patients are able to properly consent to treatment when the time comes. If you have suffered an adverse outcome during delivery of your child, get in touch with our experienced Health Law Team to discuss your legal options.